Are you about to launch your first website or blog and a bit confused about how to get started? You know you have to “host” your site somehow, but maybe you aren’t sure what that means or you’re feeling overwhelmed by all of the different Web hosting options you’re confronted with. In this article, we’ll give you a basic introduction to Web hosting, in laymen’s terms. You’ll learn what Web hosting is, what hosting companies can do for you, and how to choose between some of the popular types of Web hosting that you’re likely to come across. Let’s get started. Web hosting is how you make a website’s files visible to the public. When the files are simply sitting on your computer, it’s likely that no one can see them but you. But you want everyone to be able to see your website (in most cases). That means you need to save those website files somewhere other than just your local machine. The machine you’ll save them to is called a Web server. Just think of a server as a computer that’s constantly connected to the Web, which allows other people to access the content saved there. It “serves” your website files to public viewers. The server is said to “host” the website. Think of it like hosting a party. You would pick up and prepare everything (food, drinks, etc. ), make sure things are in order, and then you would open your doors to let guests in. It’s similar with Web hosting. But instead of food and drinks, the host prepares your website files before opening the doors to the public. A Web hosting company is a company that sells (or re-sells) space on these servers which will make your website files available to the public through their Web browsers (like Internet Explorer, Firefox, or Chrome). What do Web Hosting Companies Do? Web hosting companies play different roles in hosting websites, depending on the type of Web hosting you get (more details on that below). We’ve already talked about their general responsibility — making websites available to the public or other intended viewers as opposed to the site files staying on someone’s local machine. They can do more than that though. In some cases, a company or webmaster might get a server (or space on a server that’s shared with others) and manage all of the administration and technical aspects themselves. However, when most people talk about Web hosting (at least people who are just starting out), they’re talking about managed hosting. In that case, the Web hosting company does more than rent out space on their servers. They handle all of those administrative and technical duties as well. They make sure your site doesn’t go down, or if it does their IT staff works to get it back up. They perform routine maintenance and upgrades on the servers. They generally also host your email for you (although some might charge extra), and they might even act as a domain registrar as well (a company where you can register a website address for your site — you’ll need a domain name before you get a Web hosting account, so there’s an address to point site visitors to). A Web hosting company might even offer access to free tools or scripts to make running your sites easier, such as website statistics or blog platforms. If you’re just starting out in hosting your own websites, your Web hosting company will probably handle quite a lot for you — maybe even more than you realize. It was mentioned earlier that a Web hosting company’s job depends in large part on the type of Web hosting offered. Here are some of the most common examples of Internet hosting services you might come across, with a brief explanation of what each is. Free Hosting – This is just what it sounds like. 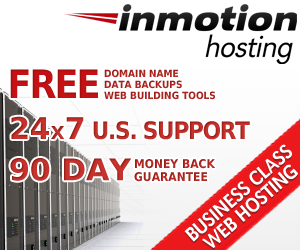 A company will host your website for free on their servers. The catch? You’ll probably have rather limited space and resources at your disposal, and some will require you to put ads on your site (ads that benefit them; not you). The most common type of free hosting these days seems to be free blog hosting with services like WordPress.com or Blogspot. Shared Hosting – When you find inexpensive hosting offers (such as $10 per month, or sometimes even much less), you’re probably looking at a shared hosting package. With shared hosting, many customers host their websites on the same server. They share resources, hence the name. Reseller Hosting – A Web hosting reseller account is an account where you can do more than just host your own websites. You can re-sell that hosting space to others. You pay the Web hosting company their fee, and then you can break up the resources into smaller hosting packages and charge end users for the space. You can become a reseller yourself as a business model (just like a retailer re-sells merchandise), or you can choose to host your website on a hosting account sold by a reseller (the benefit being that they can offer you cheaper packages with fewer resources than the main host might offer, which might be right for you if you only plan to run a single small site). Virtual Private Server (VPS) – Technically you could still call VPS offers “shared hosting” in that more than one hosting account exists on each server. Here’s the essence of how it works though. The VPS account usually offers more resources than a typical shared hosting account, and the customer (meaning you) has more control over things on the back-end. The VPS basically acts like a unique server completely dedicated to your account (or at least the portion of resources allotted to your account act that way). Dedicated Server – When you need the full resources of a Web server dedicated completely to your own site(s) on your account, you’ll want a dedicated server. You can handle the administrative side if you want, or you can get a managed server where the hosting company still handles those issues for you. Basically, dedicated hosting just means you’re using all of the resources on a server for your single account — no sharing. That also means dedicated hosting can be much more expensive. These are probably the most common types of Web hosting that you’ll come across as you research hosting companies. While it might not be a common option for first-time site owners, you might also hear about things like cloud hosting (a dynamic and scalable hosting option where resources are used as-needed from multiple servers within a “cloud”). Let’s look at image hosting as an example. Think of a site like Flickr. You upload images to their site (putting the images on their server), and then they “host” those images, making them available for others to see. Just because something’s “hosted” on the Web doesn’t mean it has to be made public though. It just means something is stored on a system that’s always connected to the Web and made accessible to users or viewers. Those “users” might be just members of your company, or even just you! That’s how some kinds of file hosting services work for example. You use their server to back up or store your important files, and you can access them later from anywhere with an Internet connection (even if you don’t make those files public). Now that you have a (hopefully) better understanding of what Web hosting is, what Web hosting companies do, and why you need hosting if you want to launch a website, you have a basic foundation that will help you decipher hosting offers. Spend some time perusing our Web hosting directory and keep coming back to find reviews of various Web hosting companies to further help you in your search. And remember, if you come across hosting-related terms that you don’t understand, take a look at our Web hosting glossary, and we’ll help you figure it all out.